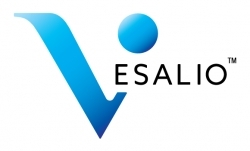 Nashville, TN, March 22, 2018 --(PR.com)-- Vesalio announces it has completed European enrollment of the first twenty-five human cases in a post-market registry of the proprietary NeVa™ neurothrombectomy platform for the treatment of stroke. With procedures performed at six centers in four countries to date, early results demonstrate superior first pass clot removal and TICI 2b – 3 recanalization. These results are consistent with improved efficacy revealed in published pre-clinical data and pending in vitro study publications.